I am a lifelong Star Trek fan, but I am also a researcher that specializes in creating new magnetic materials. The field of condensed-matter physicsencompasses all new solid and liquid phases of matter, and its study has led to nearly every technological advance of the last century, from computers to cellphones to solar cells. My approach to looking for new phenomena in materials comes from a chemistry perspective: How can we create materials that have new properties that can change our world, and eventually be used to explore “strange, new worlds”? I believe an understanding of so-called “quantum materials” in particular is essential to make science-fiction science fact. A quantum material has all of the constituent musicians — in this case, the electrons or atoms in a material, which amounts to billions upon billions of particles — acting in a certain way according to quantum rules, or the “sheet music,” if you will. Instead of noise from random electronic and atomic motions, with a conductor you get music — or in the case of new materials, a new property that emerges. The use of these new properties for devices is what is driving the technological revolutions that we are seeing today. How do you create large magnetic fields? One way is to use a superconducting magnet. Superconductors have electrons that conduct electricity with no resistance to flow. One of the consequences of this is that large magnetic fields can be generated — the current supported by a superconductor that generates the magnetic field can be huge without destroying the superconductivity itself. This is exactly what scientists at the European Organization for Nuclear Research, CERN, are investigating: a new magnetic shield for spacecraft— superconducting magnesium diboride, or MgB₂. A spaceship coated in superconducting magnets would generate a “magnetosphere” around the craft which could be used to deflect harmful projectiles. 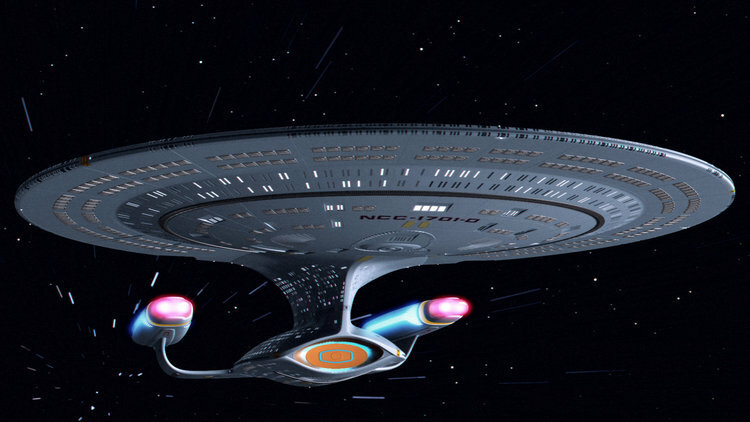 While we don’t have to worry about Klingontorpedoes just yet, we do have to worry about harmful cosmic rays in outer space for future space travel. There is a catch, however. Superconductors do not work at high temperatures and there is no room-temperature superconductor. Above a certain temperature called the “critical temperature,” the superconductor becomes “normal” and the electrons experience a resistance to flow again. For magnesium diboride, this occurs at a very cold temperature — around -248℃. This is actually fine for interstellar space where the background temperature is a much colder -270℃ or so but it is not conducive to spacecraft visiting other warmer planets. Scientists like me are searching for “room temperature” superconductors that would enable these shields to work at much higher temperatures. This would also enable new advances to society such as cheaper health care, for example, since one wouldn’t need low temperatures for MRI instruments to work. These superconductors would be great to use as magnetic shield devices if you were exploring many areas of the galaxy. But they wouldn’t work on warmer planets such as Mars without significant amounts of cryogens to keep the magnets cold. It would be highly logical to continue our search for a room temperature superconductor. If only we could make it so. Quantum materials offer strange new worlds of discovery and perhaps most exciting are the technologies we haven’t discovered yet — that will exploit quantum effects on scale that humans can easily see.